As consumers begin to embrace more high-definition products and services, next-generation disc players are poised to experience significant growth over the next five years. That's according to a new report from Parks Associates titled Next Generation DVD Players: Will History Repeat? 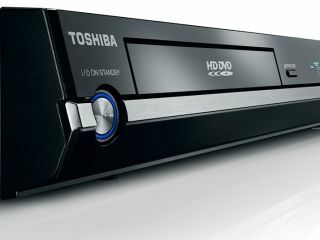 The new report estimates that, with set-top box models and game consoles combined, more than 32 million Blu-ray and HD DVD players will be sold in United States by 2011. That's an 85 per cent increase from the 4.9 million units expected to be sold in 2007. "Purchasing or renting DVDs will continue to be a dominant way for consumers to view content," stated Chris Roden, Research Analyst at Parks Associates. "What has yet to be determined is which format will become the standard, HD DVD or Blu-ray?" According to the report, consumer confusion is still prevalent with less than 10 per cent of U.S. consumers stating that they are familiar with the HD DVD or Blu-ray formats. "However, we are starting to see the pendulum swing slowly in one direction," said Roden. "Recent retail developments, support from major Hollywood studios, and inclusion of the format in the PlayStation 3 puts the Blu-ray format in the lead." It's good to see that more people are going to embrace HD, but really, who couldn't have predicted that the next five years would see a big boom in sales?